Tamper-proof your amenities at the vanity and shower. 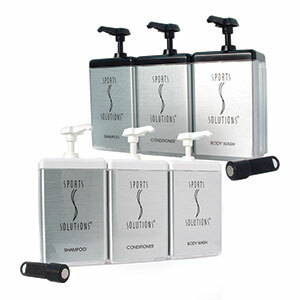 Create the ultimate vanity and shower presentation for all of your personal care amenities utilizing the newest state-of-the-art technologies in magnetics. These patented, interlocking dispensers connect together to form a bank of products, mounted on the mirror to increase counter space. 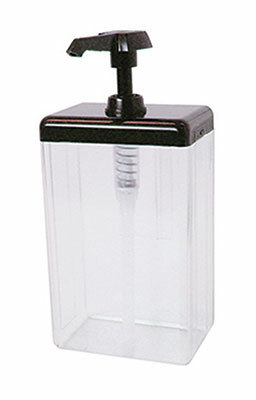 The new magnetic locking lids connect to dispenser bodies for a secure "tamper-proof" presentation. 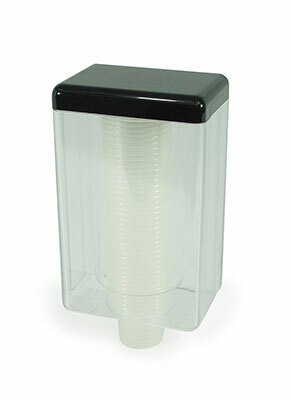 Great option for "child-proof" areas, public restrooms, locker rooms, and restaurant facilities where maintaining dispenser security is a must. 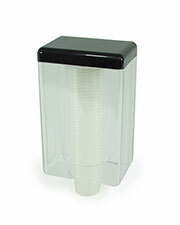 Locking dispensers are available in sprays, top pumps, and mouthwash cup dispensers. Storage containers are non-locking. 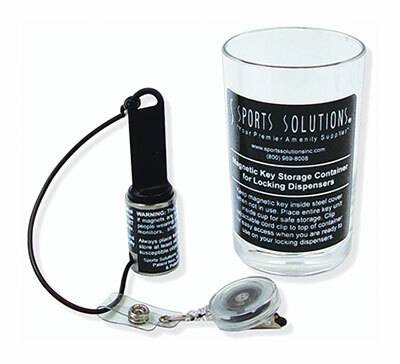 The magnetic key kit makes it easy to lock and unlock the locking lids, and safely secure them. 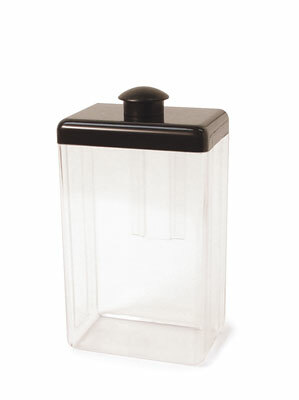 To open, place the key on the top center front of the lid to unlock the lid from the dispenser body. 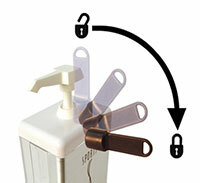 To lock the lid, swipe the magnetic key downward, from the same center lid position. There is a special key holder for magnetic keys to maintain safety and security when not in use. Note: All lids come with matching pump color. Note: Magnetic key sold separately. 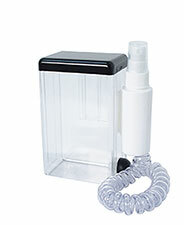 Dispenser holds 42 each of the 1 oz. cups. 24 oz. 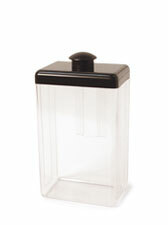 storage container dispenser holds razors, swabs, cotton balls, etc. Safely secure key inside nickel plated stainless steel cover. Cancels direct magnetic pull of key when inside cover. A must when not in use. Rubber cord keeps both pieces tied together.